In collaboration with the Czech and Slovak Film Festival of Australia (CaSFFA) and on the occasion of its recent retrospective, the East European Film Bulletin brings you this issue dedicated to Czech film-maker Věra Chytilová. 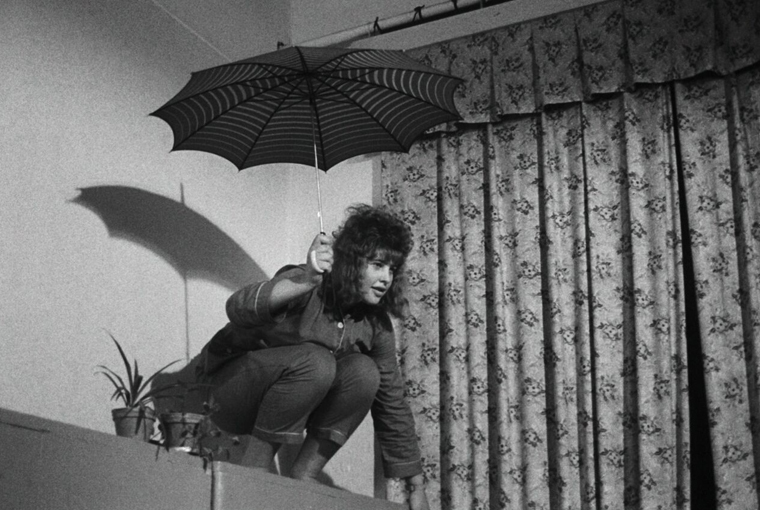 CaSFFA’s retrospective was presented as a season entitled “Original Sins: Resistance and Feminism in the Avant-Garde Cinema of Věra Chytilová”. Programmed by artistic director Cerise Howard, it was co-presented by the Melbourne Cinémathèque at the Australian Centre for the Moving Image. Věra Chytilová (1929-2014) deals in rhyme, rhythm and ritual. Her name itself skips nicely off the tongue, a poetic rhyme-scheme that gives one the magical feeling that a film is coming on. The titles of the films are themselves poetic. Think of the internal rhyme of “Pytel blech” (“A Bagful of Fleas”), of the delusive eye-rhyme of “O něčem jiném” (“Something Different”), or even of the ominous children’s rhyme “Pasti, pasti, pastičky” (“Traps”). Like Tangore, Dante or Goethe, Chytilová is one of those rare artists whose work makes you long to speak the language, to be able to experience and extract meaning from their art in the original. But these films exhibit more than just the spoken word – they also deal in sounds, whispers, sighs and laughter. Hers is a universe where each limb’s movement is accompanied by the squeak of an un-oiled door. The theme of this issue is the resistance to be found in her films; chiefly the result of her successful collaborations with numerous important figures of the Czechoslovak New Wave (Jaroslav Kučera, Ester Krumbachová, Jan Němec, etc). 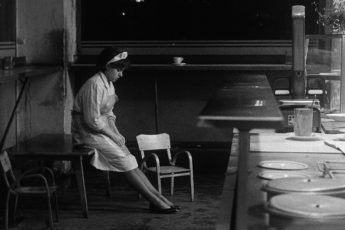 Chytilová saw filmmaking as ‘bringing the truth of our lives into play’, making films even when she was not allowed to, and when she was told not to. Therein lies the resistance that is so central to her artistic output; it’s a resistance that goes beyond political regimes or gender stereotypes and stems from an unwavering belief in individual freedom. In this issue we feature writers from the East Coast of Australia, from India, from Scotland and Germany. Its scope is a testimony to Chytilová’s influence throughout the world. For this special issue on Chytilová, Hamish Ford considers her student film Ceiling, made in 1962, in the light of its aesthetic “cubism”. Elena Pachner Sarno and Daniel Brennan each discuss her 1966 masterpiece Daisies, the former via a discussion of its “feminist deaesthetic”, the latter by considering the film as a philosophical farce. 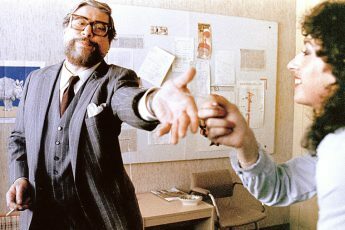 Jan Čulík gives an overview of Chytilová’s filmography from the liberal 1960s all the way to post-Communist times, and Konstanty Kuzma questions the rationale behind debates surrounding Chytilová’s feminism. Finally, and for the first time, EEFB brings you a photo-essay. Jessica Sadana’s work is a series of montages inspired by Daisies, featuring rising stars of the Indian film scene.